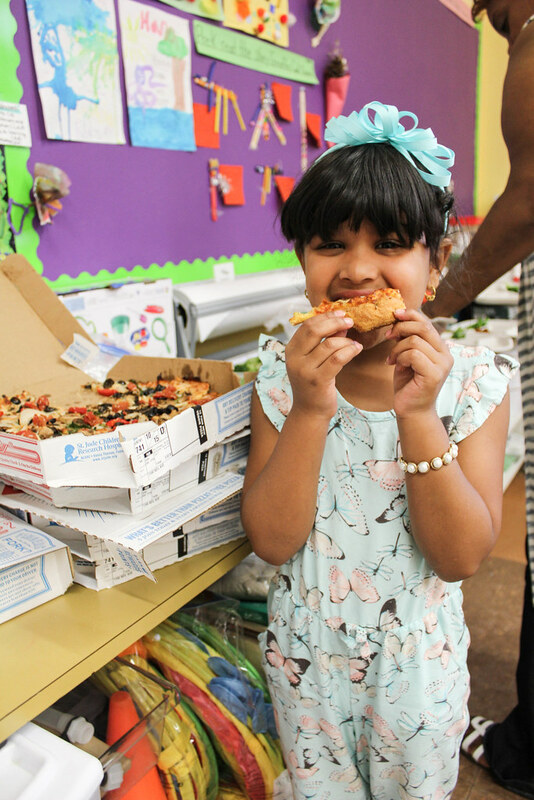 NY Trendy Moms: It's a Domino's Pizza Party! Many of you might remember (from my snapchat) last week when I surprised my daughters at their school with a Domino's Pizza Party. 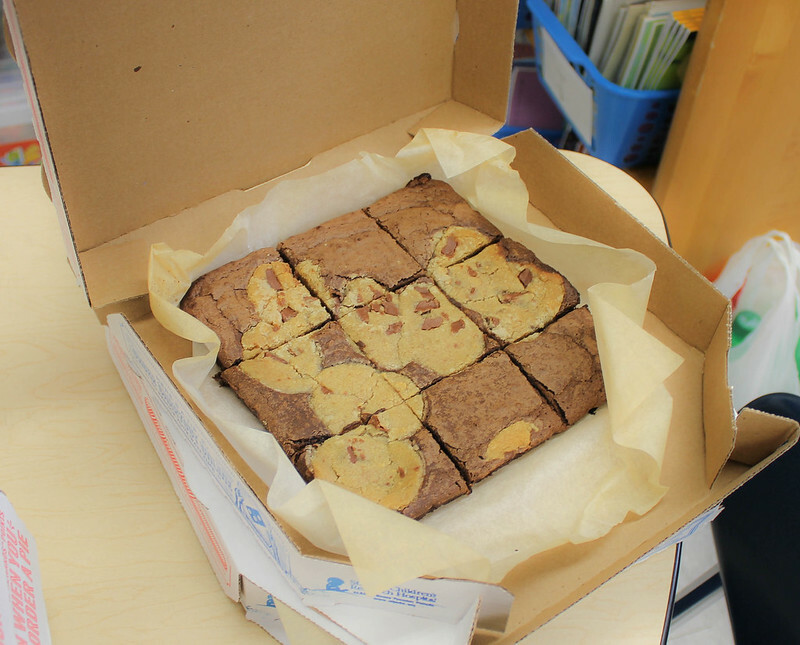 Domino's is my families favorite pizza so it was a no-brainer to collaborate with them on an 'End Of School Year Party'. Before I move on.. I want to apologize for the not-so-great images on this post. I wasn't aware of the tight school regulations with photography. Hence, I did my best in capturing the moment. 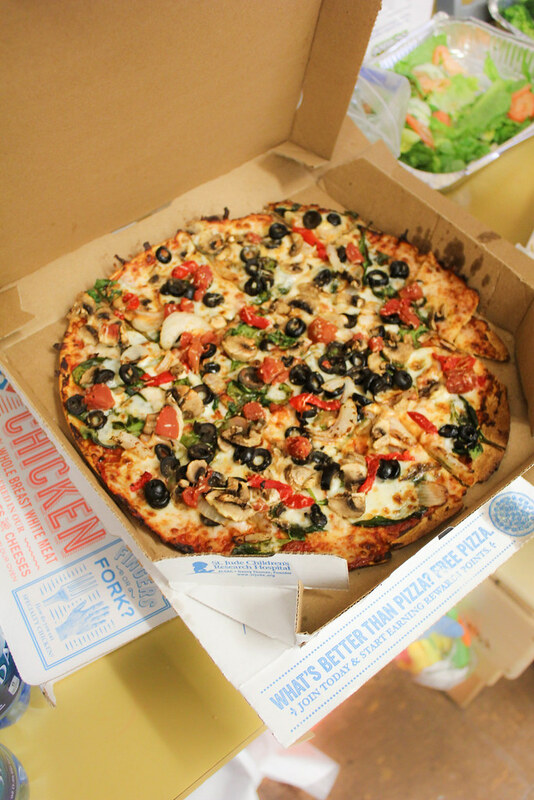 We all know that a party isn't a good party without pizza! right?! This whole party idea came to me a few weeks ago when I was brainstorming about what to do for the teachers before the school year ends. & then it clicked! 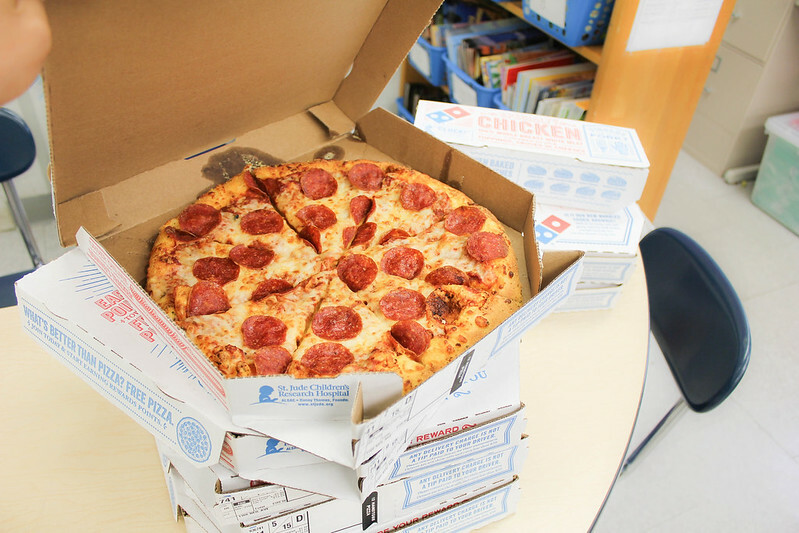 I thought it would be brilliant to offer a pizza party '& not just any pizza party but a Domino's pizza party' as a thank you to all of my daughters classmates and teachers. I remember growing up my family would order Domino's every Friday. There would always be an argument between us because my brother liked Hawaiian, my mom liked thin crust with vegetables and I liked deep dish with beef and pepperoni. Back then (1998-2000) there weren't many options as to what you could order. Domino's has expanded their menu since then. They now serve pastas, sandwiches, wings, cookie brownies and my forever favorite... cheesy breads!!! Domino's ordering system has also been updated so now you can order via text, tweet (yes, you read correctly!!) and so many other ways. Find out more ways to order Domino's here. 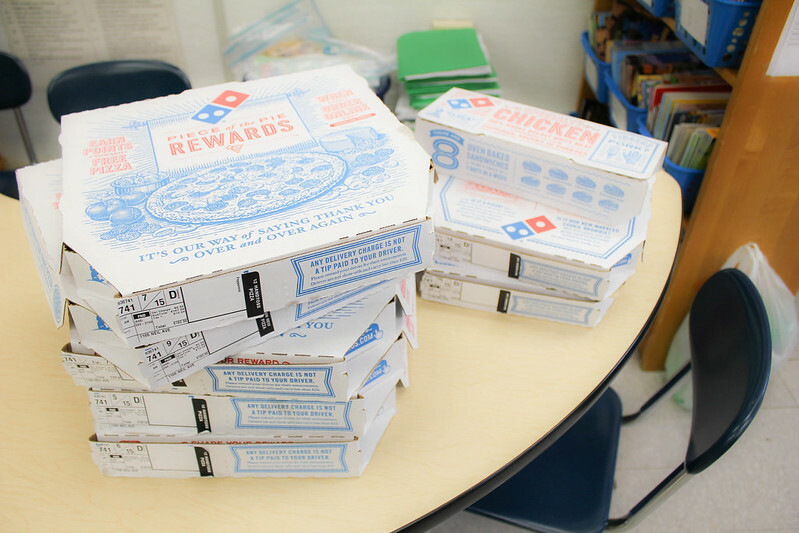 Thank you so much Domino's for your generosity and deliciousness. I can't wait to have another reason to throw a pizza party!